Bengaluru: Kolkata Knight Riders defeated Royal Challengers Bangalore by five wickets in the 12th edition of the Indian Premier League (IPL) at the M Chinnaswamy Stadium in Bengaluru on Friday, owing to Andre Russell's crucial knock. 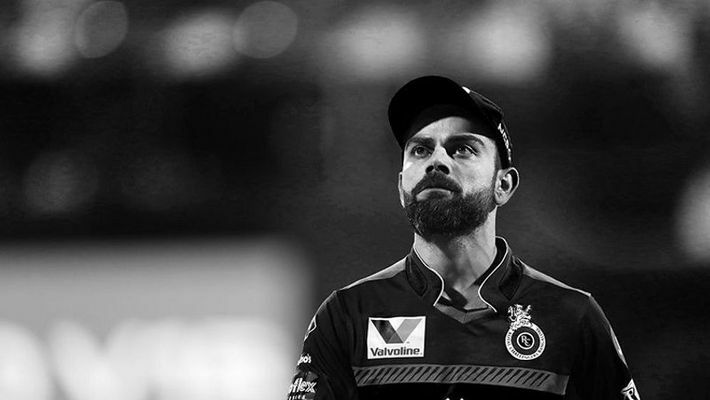 With this loss, RCB has now suffered defeats in their first five matches of this year's edition of the IPL. Chasing a mammoth score of 206, KKR got off to a flying start as openers Chris Lynn and Sunil Narine scored 17 runs off the first over. But RCB staged a comeback as they dismissed Narine (10) in the second over of the innings. Robin Uthappa joined Lynn in scoring consecutive boundaries in the powerplay overs. KKR managed to score 59 runs in the first six overs. The duo kept the pressure going on RCB's bowlers and they did not let any bowler settle. Both these batsmen stitched together a partnership of 65 runs. Pawan Negi provided RCB with the vital breakthrough as he dismissed Uthappa (33) in the 10th over of the innings. Yuzvendra Chahal dismissed Nitish Rana (37). The batsman was looking to go big, but he just managed to hand a simple catch to the substitute fielder Heinrich Klaasen. KKR lost wickets at regular wickets, and they suffered a big blow as they lost their skipper Dinesh Karthik (19) in the 17th over, as Navdeep Saini dismissed him. 53 runs were required off the final three overs by KKR, and their hopes were stacked with the all-rounder Russell. Earlier, Virat Kohli's and Ab de Villiers' knocks of 84 and 63, respectively, enabled RCB post 205 runs for the loss of three wickets in the allotted 20 overs. Rana dismissed the duo stitched together a 64-run partnership before Parthiv (25). Parthiv failed to read the ball out of Rana's hands, and he was adjudged LBW. Kuldeep Yadav finally dismissed Kohli in the 17th over while he was searching for quick runs. With this knock of 84, Kohli surpassed Chennai Super Kings' batsman Suresh Raina to become the highest run-getter in IPL. De Villiers (63) also perished in the 19th over of the innings as Narine dismissed him. Marcus Stonis (28*) provided RCB with some big blows in the final over, allowing the team to post 205 runs for the loss of three wickets in the allotted twenty overs. Brief scores: Kolkata Knight Riders 206/5 (A Russell 48*, CH Lynn 43, P Negi 2-20 ) defeated Royal Challengers Bangalore 205/3 (V Kohli 84, AB de Villiers 63, N Rana 1-22) by five wickets.